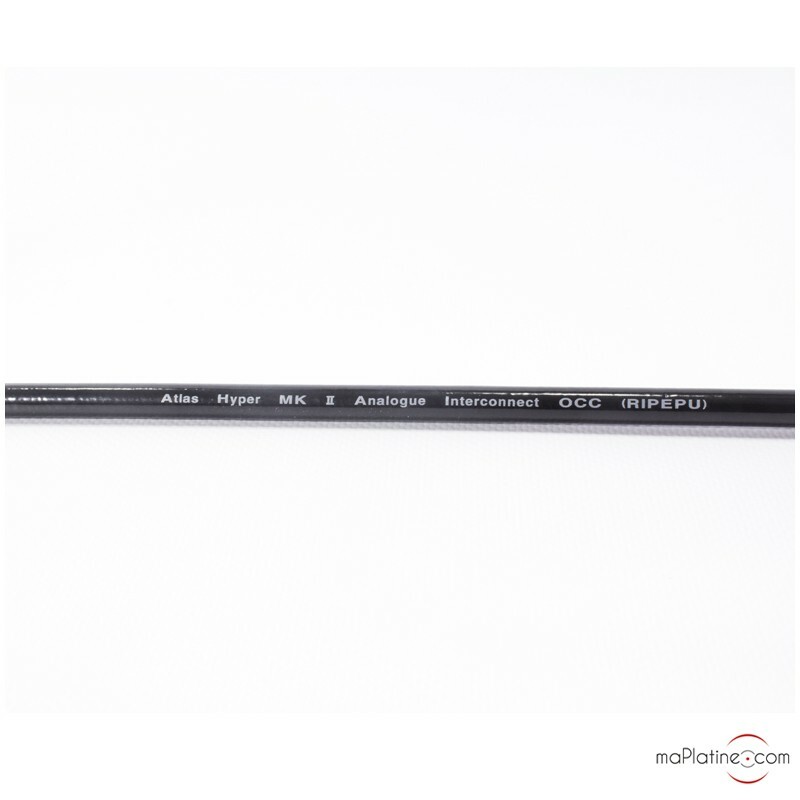 The Atlas Hyper Integra Interconnect cable is an upgrade of the Atlas Equator Integra interconnect cable. It is easily recognizable by its jacket and black connectors. It has a completely coaxial design. The signal consists of 95 strands of very pure OFC copper (Oxygen free copper) of 99.997% (6N) purity. It is surrounded by a screen made up of 252 strands OFC copper at 94.2%. The whole is designed and constructed to offer a wide bandwidth combined with an excellent resistance to Radio Frequency interferences (RFI). 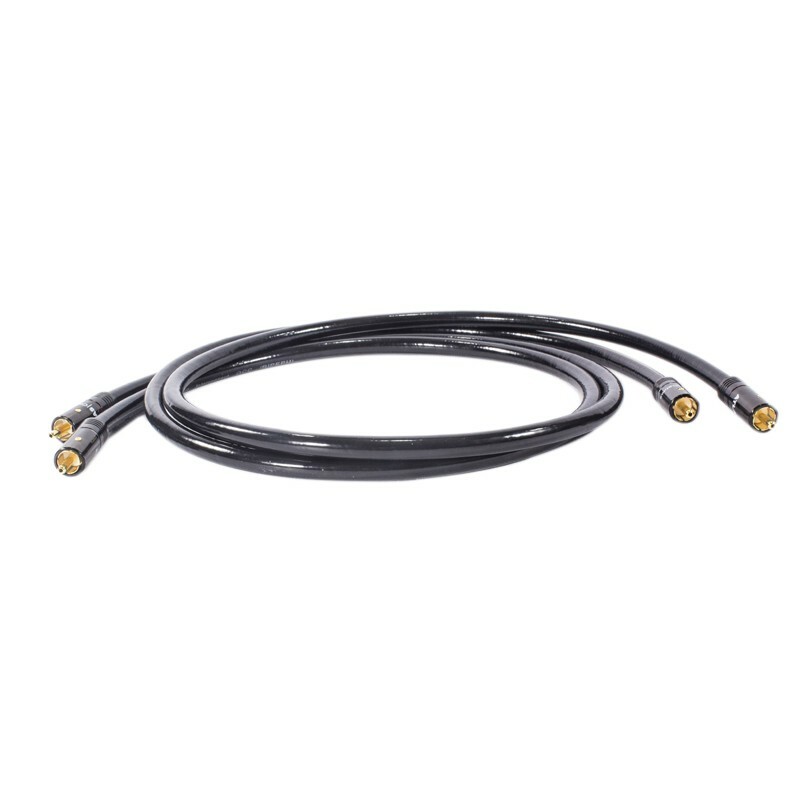 These frequencies increase noise levels in a poorly shielded cable, resulting in a loss of low level signals. The Atlas Hyper Integra Interconnect cable is fitted with proprietary self cleaning RCA plugs. All you have to do is remove it and insert it to clean contact areas that could be oxidized. These RCA plugs have a non conductive, low mass body that limits the harmful effects of Eddy currents flowing through the plugs. They feature a solder free connection optimized to create a continuous signal path. The restitution is centered on the natural and the quality of the timbre. The midrange has a nice presence, an excellent definition without any excessive detail. 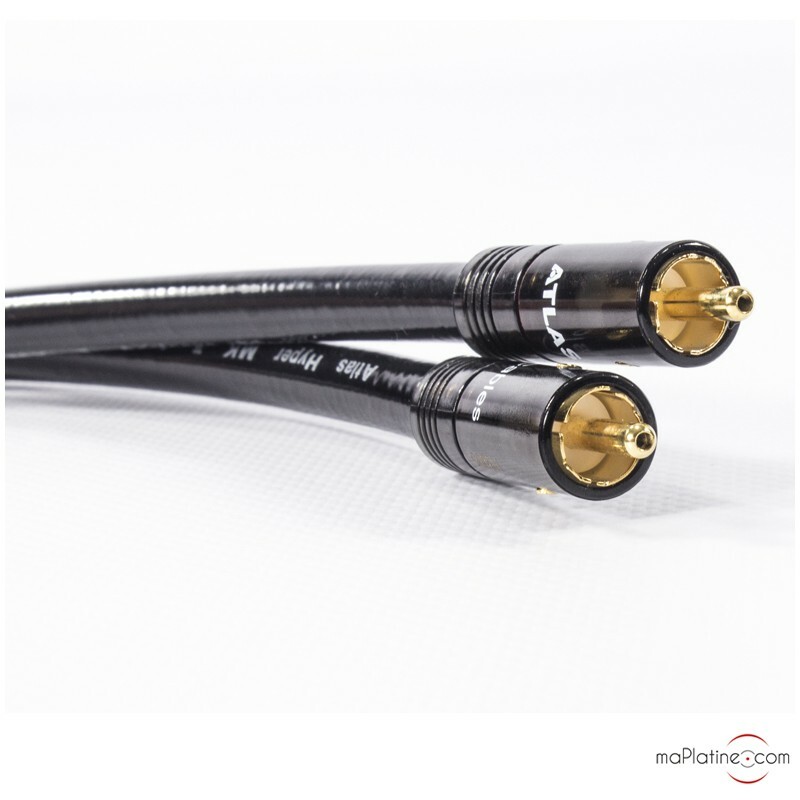 There is a real difference with Atlas Equator interconnect cables in terms of dynamics and transparency. The soundstage seems much larger and has a surprising depth. The Atlas Hyper Integra Interconnect cable is a real surprise! We recommend it on neutral Hi-Fi systems or systems that lack timbre richness. It fits perfectly with the Atlas Hyper 3.5 speaker cables. Pour l'instant (20 heures d'écoute) pas de changement par rapport à mes anciens câbles vieux de 30 ans. Le bon coté est l’absence de coloration, l’image spatiale est inchangée. A voir dans le temps.